“Listen to the heartbeat of my Son”. The words gently inserted themselves into my consciousness and stayed for the entire duration of our retreat. And finally… “Touch the heartbeat of my Son”. I found myself being drawn by these words to the image of a pregnant woman, hand gently caressing the outline of the child within. Why the image of a pregnant woman and the words about heartbeat came together for me I am not sure… but they did. The retreat is long over but the words have not left me. Who but a mother could truly hear the heartbeat of her son I wondered; who could touch it; who could see it? Where is the heartbeat of the Son now? Where can I touch it? How can I see it? A heartbeat can only be felt by touch… a very gentle and non-intrusive touch; can only be heard by the deep inner listening of an ear inclined, whether that be by means of a stethoscope or a lover’s ear tuned in; can only be seen by eyes with clear vision, whether they be the eyes of a cardiac surgeon or the eye of wisdom. I realised that just as Mary brought forth her Son, so must we bring forth the Son, because just as he was crucified, so is he still being crucified. Yet… his heart is still beating. Can you see it? Can you feel it? I asked myself. Yes I see it; I feel it and I can almost touch it. He is still alive, his heart still beating, his lungs still breathing forth healing… but it is a laboured breath I hear and a fluttering heartbeat I see. It needs reviving. Mother Abbess Mary and I were talking together recently and sharing some spiritual insights that we had received. Each of us, in different ways, has “seen” the Church as being “brought forth” by a woman. How can this come about, Mary wondered 2000 years ago. “How can this glad rebirth come about, I have been wondering. 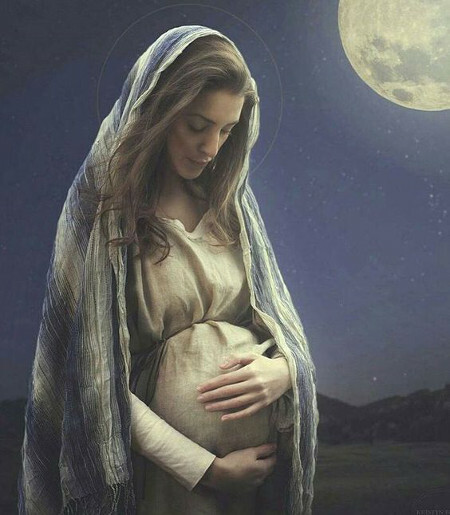 In asking this question I began to see a connection: it is a woman who gives birth; the church in Australia must be born again; WOMAN must be pivotal in the giving of that birth. The Bishops of Australia have been outstanding in their courageous initiation of the Plenary Council, truly outstanding Yet I believe they need to make the choice to be even still more courageous and outstanding; they must stand back and make room for the women to take their rightful part in the rebirthing. My challenge to them then is that they go further than they have done thus far. If a new birth is to happen for the Australian Church then they must allow women a place, a voice and a deliberative vote in the final session of the Plenary Council in Adelaide in 2020. Neither man alone nor woman alone is enough. How can this come about I wondered, since n443 of Canon Law prescribes that bishops only have a deliberative vote. Well…there is a precedent! St Hilda of Whitby OSB attended and spoke at the Synod of Whitby in 664. Nothing is impossible to God. Precedents can only be set by setting precedents. I wonder if the Bishops could ask themselves the question that Mary asked 2,000 years ago and which women in Australia are asking themselves today: How can this come about? 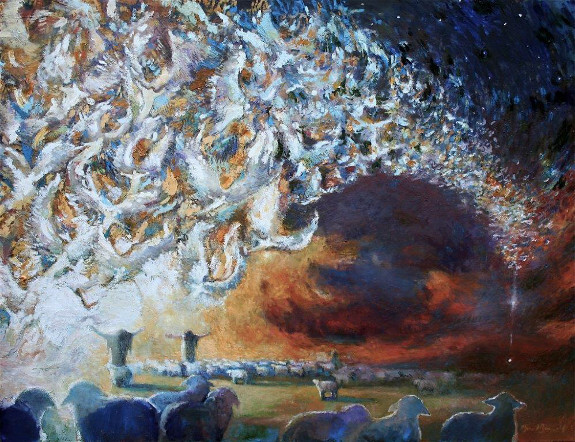 I would like them to wonder, to ponder and to pray about how this might come about; how it might be possible to break through to new territory, not just for the Church in Australia but for the sake of “bringing forth the Son” into our broken and bleeding world. Then and only then could the watching world be able to say: “and, she, the church in Australia… male and female, brought forth the Son”. Then, and only then, will there be revival, renewal, regeneration, refreshment and rebirth. It is not a justice issue. It is not a gender equality issue. Rather it is a wisdom issue. Oh, foolish hearts take warning! a plain message to deliver”.